A hammer–what a wonderful tool. And a very simple one too. A strong head, a firm haft; all you do is grab it, aim at your target and swing. Right? But here’s the rub: not all hammers are built to do the same thing. If you’re a construction worker or a mechanic or some other kind of skilled tradesman, you know what I’m talking about. If you’re a layman or a novice, however, this might come as a shock. It’s true, the hammer’s design may be simple, but they’re not all created equal. In fact, there are so many different kinds of hammers, each built for different tasks. There are even such contraptions called power hammers–these are for serious, heavy-duty tasks, like forging. Of course, when you think of hammers, you think of the ones you can swing with your hands. 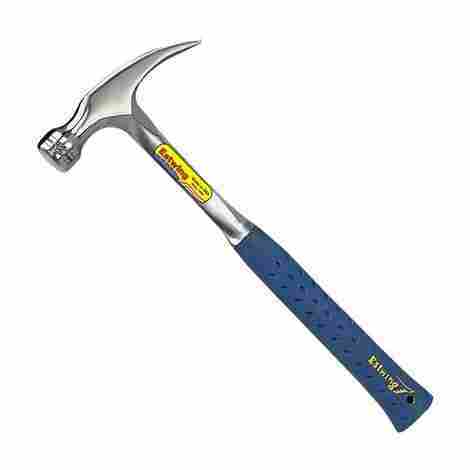 Things like ball pein hammers, curve-claw hammers, framing, rip claw, soft face, and specialty hammers. And those are what this list is about. Whether you’re a construction worker or a carpenter or just a retired guy building and fixing stuff in his garage in his free time, you’ll need to find the right kind of hammer to fit your needs. That’s why this list has been compiled–to make your life just a little bit easier by letting you know which hammers are worth your attention and why. Think about it: you wouldn’t use a twig to hit a fastball, would you? Just like you wouldn’t ever swing a baseball bat at your annoying, but lovable, friend. Ask yourself questions while you go through the list. Questions like, how often am I going to use this hammer? And am I adding this hammer to my collection or am I looking for something with the widest range of uses? This way, you can be sure that the hammer you choose was tailor-made to fit your needs. Anyway, without a further ado, here are the top 10 hammers for 2018. Are you looking for a way to do simple things around the house? Maybe something you can hang up a frame on a wall with or even bring along with you on a hiking trip to hammer out some tent stakes. Well, this little baby will help you do just that--and it really is little. It's only 6 inches in length and weighs about 8 oz. It's perfect for your kitchen tool drawer and a lifesaver when you're trying to get yourself out of little jams without burdening yourself with heavier, longer-handled, unnecessary options. 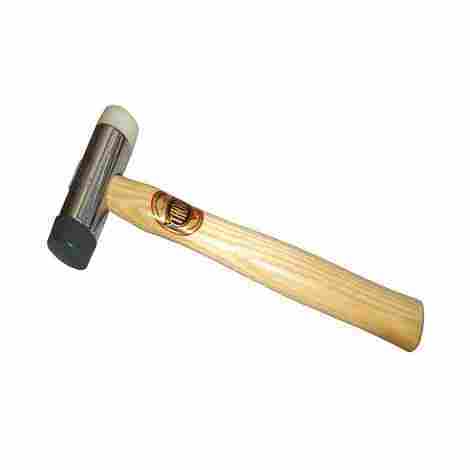 This stubby claw hammer from Maxcraft features a contoured handle grip that prevents slippage. And it's soft and comfortable to yield. So if you're trying to hang up a frame and you don't feel like missing the nail and putting a small dent in your wall, this will suit you perfectly. Now, this is a feature you don't see every day. You might have been worried about missing the nail before and putting a dent in your wall. What if you're trying to hold a nail in position on the point on the wall where you want it to sink--and then you swing the hammer and miss and hit your hand instead? That would mean you're spectacularly uncoordinated, sure, but that's not the issue here. But this bad boy actually comes equipped with a magnetic nail starter, which helps to mitigate those bad starts. With a nail starter, you don't have to balance the nail from outset at all. Just slip it in and aim--and you're good. For a simple tool that's sure to last you a long time, this is very reasonably priced. You can use this stubby claw hammer from Maxcraft in a variety of different ways, and because of its small size, you can pack it and bring it along with you. It's great also if you're a senior citizen or someone who just can't bear to use a heavy, long-handled hammer without experiencing pain or discomfort. All in all, this is a great buy. Now we begin to get serious. 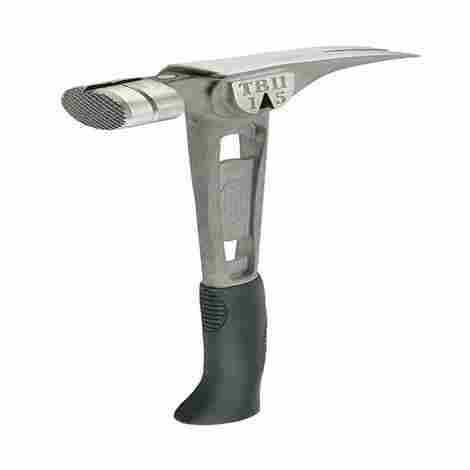 This is the best rip claw hammer on this list. If you're a tradesman, a construction worker or a carpenter or a plumber, you're going to want to add this one to your arsenal. It was made to be used. And if you don't already know rip claw hammers are very versatile. It's great for everyday, household tasks, and it's equally great for pulling out boards and nails. At the very least, it's great to have with you as part of your toolkit. Sometimes hammers are unforgiving. I mean, really, if you use them often, you may experience some sort of discomfort. That's natural, considering how heavy and powerful most hammers are, and considering also that what you're doing is lifting that heavy and powerful thing and swinging it hard at something else. Or prying something open with it. 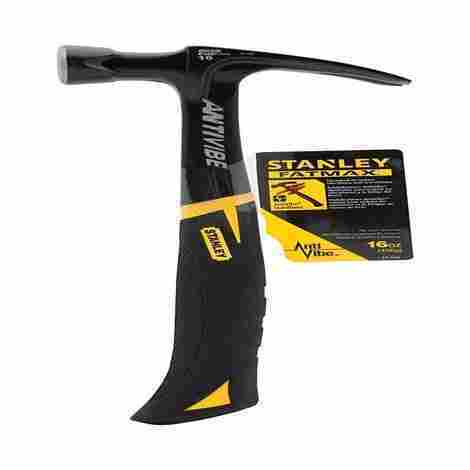 Well, this rip claw hammer by Stanley features a patented torsion control grip technology that aids your wrists and elbows to withstand the effects of torque. Here's another excellent feature to go along with Stanley's patented torsion control grip technology: the patented AntiVibe technology. The value of this feature cannot be stressed, especially if you're an older person, or if you have a chronic condition that affects your hands and arms. This feature actually minimizes and controls shock upon impact--that means you can hammer away without feeling distracted by discomfort. An excellent value for the price. It's 16 oz hammer forged with a one-piece steel construction, which helps to increase strength as well as durability. And you don't have to stop at the ripped claw design either--Stanley also makes a curved claw version of this same model. If you get both you can, essentially, multiply the utility of your toolkit. Overall, a great value and worth the buy. Here's another rip claw choice for various needs. Unlike the Stanley rip claw hammer, this one was made specifically for professionals--for roofers, contractors, farmers, tradesmen, carpenters, and for those who are serious about their own repairs around the house or in the garage. Comfortable and durable, it also features a shock-absorbing construction that reduces vibrations upon impact up to 70%. It comes in three weight categories, so you can choose which is best for you: the 12 oz, the 16 oz, and the 20 oz. Remember, the more serious the job, the heavier hammer you're going to need. This can't be stressed enough. A good buy is one that will last you a long time and one that will offer you the greatest utility. In other words, a good buy is supremely functional, and that's just what this rip claw hammer by Estwing is. If you're doing demolition work, or just pulling nails, prying wood, or even splitting it, this rip claw hammer won't do you wrong. If a hammer is made of more than one material, it's sure to wear down faster. That's just common sense. This rip claw hammer from Erstwing was specifically forged in one piece to maximize durability and increase its life. That means you'll be able to use it effectively for much longer. Enough said. 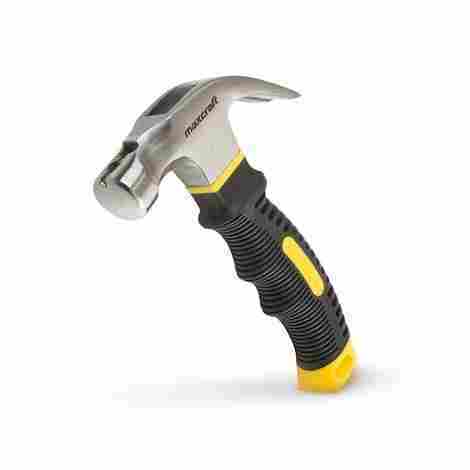 Its price is comparable to that of the rip claw hammer from Stanley. It really comes down to a matter of preference. You have to know what you prefer and why--overall, if you're a professional, you should choose this one over the more layman-friendly Stanley one. It's sure to last you a long time and help you get the work you need to be done done. In short, it's a great buy. Here's a great choice for women--aesthetically anyway. Or for a man who prefers pink. Utility wise, a hammer is a hammer, but if you're a woman and you're sick of the men in your life always reaching for your tools, here's a great way to get them off your back and out of your toolkit or drawer. This is a light claw hammer for every day uses. It may not be great if you're a professional tradesman or a carpenter, but if you're looking to just get some odd jobs around the house done, this is your choice. The main thing to remember about this particular claw hammer from The Original Pink Box is that it was meant for the layperson. Meaning, it was meant to come in handy when you have a picture you'd like to hang up on the wall or to put together various small appliances--things of that nature. To that end, it features a rubber handle that's comfortable to grab and easy to wield. The other hammers we've looked at so far featured a steel construction. Then the company that manufactured the steel constructed hammers added on their own patented technology to the haft in order to reduce vibrations. This claw hammer by the Original Pink Box was designed to reduce vibrations instantly. It may not be as effective in doing so as some of the other items on the list, but remember, this is daily-use item--it wasn't meant for serious labor. It really can't get better. It's lightweight, durable, pretty, and dirt cheap. 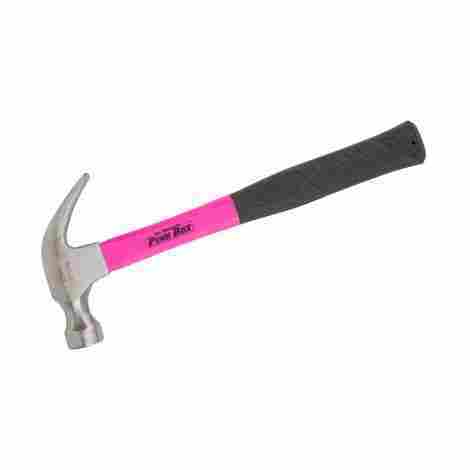 If you're looking for something handy that you can use around the house, and something that adds a bit of style to your handiwork with it's in your face color, this claw hammer by The Original Pink Box cannot be beaten. Maybe you're not looking for a steel hammer at all. You're a serious professional and won't spare any expense--after all, this is your profession we're talking about. Well, this milled face hammer from Stiletto features a titanium construction with a steel face. Moreover, the steel face can be replaced when it begins to suffer from wear and tear, making this an excellent addition to your professional arsenal. Titanium is lighter than steel, but packs just as much strength--for example, this 15 oz titanium bad boy packs as much punch as a comparable 28 ozone! If you're a professional--a tradesman, a carpenter, or whatever--you know that banging and prying all day long can do a number on your joints. And if you're looking for a milled face hammer, you're looking to do some serious work. But you have to keep your health and well-being in mind. Otherwise, what's the point of hard work? With this milled face titanium hammer from Stiletto, you can be assured that at the very least you can be comfortable as you work--which ensures that you'll be able to do more--and more effective, because its handle was specifically tailored to allow you more leverage and power. If you're buying something, you're always worried if it's going to be worth it. In other words, you're worried about its durability. Especially if it's expensive. What happens if it wears out quickly? Does that mean you've wasted your hard earned money? Not with this item! It features easily replaceable steel faces. You can even choose between a smooth face and a milled face--increasing its versatility! There's no way around it. This is an expensive item, and so is only recommended for professional use. You can use it for anything, really, even to do chores around the house if you're so inclined, and if you have the cash to burn that you don't know what to do with. In that case, it's really not the best buy for you. But it's not recommended. For the professional, though, this is a must have and a quality buy. Maybe you need something more specialized. Something that'll help you demolish masonry or to drive stakes or cold chisels. A sledgehammer would do--but those are big and heavy, and you're not into that. Well, look no further. This club face hammer from Powerbuilt is your hammer of choice. A clubface hammer is similar to a sledgehammer, except it's smaller and lighter. This particular club hammer was built to be durable--it was made for the professional, who could use day in and day out, without missing a beat. If you're going to be doing heavy duty work that involves swinging a club hammer daily, you're going to want to choose something that won't break your arm. This club hammer by Powerbuilt was designed with a fiberglass handle to be both durable, so you can use it daily, and shock-absorbent, so you won't be in pain daily. Sledgehammers are heavy, but useful, and often times necessary. Well, now you can replace them with something much, much lighter. This club hammer is only 2.5 oz, so it's incredibly easy to wield, and easy also on the extremities. That means while you're banging away at masonry, you won't be exerting yourself too hard. For a daily use item that was meant for the hardworking professional, this club hammer is quite inexpensive. Downright cheap, actually. All in all, for the utility, functionality, and durability that it offers, it's an extremely intelligent buy. There's nothing like versatility to make one a happy consumer. 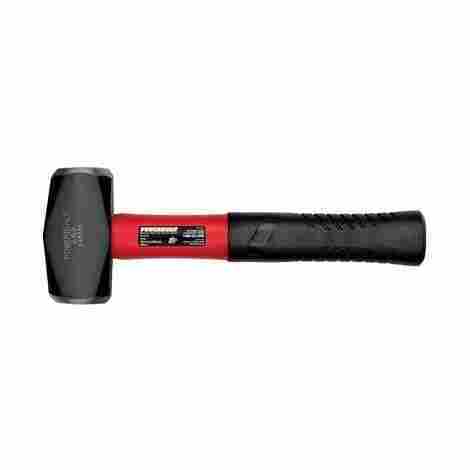 This multipurpose soft and hard face hammer from Thor has the goods. Maybe you need something for shopfitting, partitioning, furniture making, double glazing, engineering purposes, and for injection molding operations--if you do, then stop right here. This is a must-have. It features a variety of replaceable faces and comes in many sizes and configurations. You can pick and choose and adapt. You can even choose the material of the handle: from wood to plastic, to cast iron, this versatile hammer from Thor has it all. One side is black; that's the hard face. The other is white; that's the soft face. This is perfect for the hardworking professional who has a thousand and one things to do. If you want to demolish things, use the hard face. After you're done doing that, if you want to tap a finished wood piece into place without breaking it, simply spin this hammer around and use the white, soft face. You can't go wrong. Besides just being functional, this mallet hammer from Thor was designed to actually last--and that's saying a lot. Thor kept that in mind when they created the screw in feature for their nylon faces. So when either one wears out and starts becoming ineffective, simply unscrew and replace. This is sure to last you a long, long time. Considering its versatility and its awe-inspiring functionality, it's very reasonably priced. If it were double the price, even, it would be worth it. As it stands now, it's a steal, and one shouldn't complain about that. Now let's get back to basics. 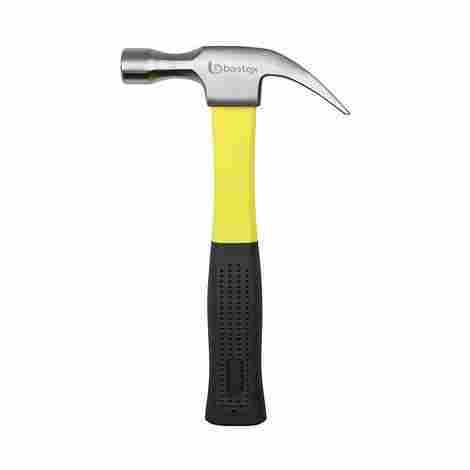 If you need something reliable yet light-duty, just for emergencies or for doing some work around the house, then this claw hammer from Stalwart is the hammer for you. It's a curved claw hammer, so it'll give you more leverage when you're trying to pry nails from a surface--this means you won't damage that surface while making modifications to it. On top of this, the drop forged steel head is permanently bonded to the hardwood shaft with an epoxy, so you don't have to worry about durability. There's nothing worse than getting injured on the job. Getting injured on the job is worse than being uncomfortable on the job. But still, being uncomfortable isn't fun--but with this clawed hammer from Stalwart, you'll be less uncomfortable as you pound away, and that's always a good thing. Its contoured hardwood handle was specifically designed to minimize vibrations. With a drop forged steel head, you can pound away frequently, daily even, without fear of precipitating wear and tear. To add to that, that same steelhead is permanently bonded to the haft with a powerful epoxy. That means it'll last you a long time and stay reliable throughout. This is a basic, quality hammer. And it's the cheapest product on this list. If you're looking for a hammer to do its job and to help you out of little light-duty jams, or if you're just bored and want to bang straight some rough edges around the house, this is an excellent buy. And we're back to rip claw hammers. But this rip claw hammer from Fiskars is worth the return. It does what it's supposed to do; you can strike things effectively and extract nails from things effectively, too. But the one difference between the others we've seen on this list is that it was constructed specifically to reduce the punishment you receive as you bang away. In other words, it was made to be used frequently and comfortably. It absorbs shocks and vibrations upon impact, which results in you receiving four times less shock than anything with a wood hammer; and its insulation sleeve holds initial strike shock before it can get to you. Isn't it comforting? 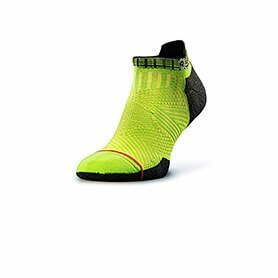 Well, it's comfortable too, and functional too, allowing you to drive in nails to surfaces without damaging anything in the surrounding area. It's been stressed already, but it can't be stressed enough. Its handle too is a dual-layered one that is specially designed with an intricate combo of insulating materials that all serve to dampen any sign of pesky vibrations. There a lot of complaints out there about the sound hammers make on impact. It can get annoying--downright maddening, even, if you're banging on things frequently. But this particular rip claw hammer by Fiskars was designed to reduce any high-frequency ringing so that you can keep your sanity while getting work done. 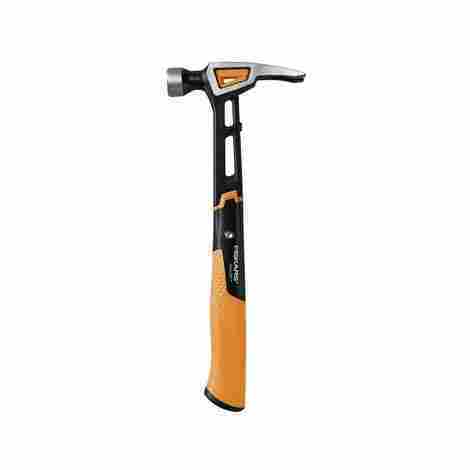 This rip claw hammer from Fiskars is not expensive in the slightest, but it isn't cheap either. It's quite moderately priced for what you get in return. It may be a tad too high for the layman, but you have to know what you need and what you want. All in all, this is a good, solid buy, and well worth the price. 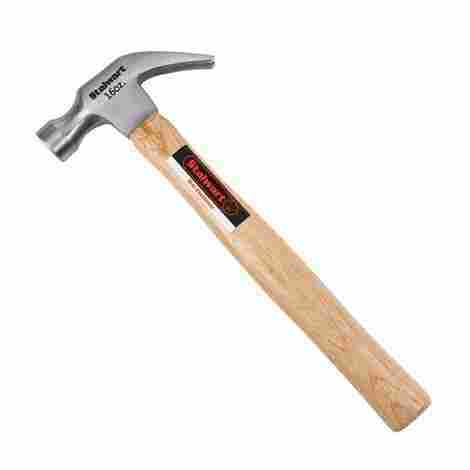 Last on this list is a functional and fairly durable curved claw hammer. This is as basic as it can get. Great for small jobs and for contractors, repairmen, general laborers, and mechanics, this light-duty hammer from Bastex is a great addition to your tools collection. It's even great for light household maintenance. Just like any claw hammer, with this, you can pry things, and bang things in. It features a fiberglass handle, which, as we saw, is a great basic sort of handle to minimize vibrations. So if you're not looking to do anything too heavy-duty, and you're not looking to spend much, give this claw hammer from Bastex a serious look. There's nothing worse than missing your mark because your hammer slipped out of your hand. That could mean destroying even further the very thing you're trying to fix! With this claw hammer from Bastex, you won't have that problem. It features a rubberized hammer that prevents slippage and allows you to strike with poise and precision. Believe it or not, there are some hammers out there that can't really withstand impact. Sounds crazy, doesn't it? Well, it's true--despite what they say, many hammers end up fraying quite quickly due to the frequency of use. This one was made with a high-strength fiberglass material which is purposely protected by an impact-resistant poly jacket, thus ensuring longevity and durability. There's not much to say here. You get what you pay for. For a basic price, you get a basic hammer. If you're looking for something light-duty that you can use here and there to help you get jobs done, you've found it right here. There are a number of things that make a good hammer. Construction, weight, durability, functionality, ease of use–all of these things play a part. All of the hammers on this list are shock-resistant to some degree. You’re going to have to know to what degree you need your hammer to be shock-resistant. You also need to pay attention to the weight of the hammer, to the look, to the feel–these things make more of a difference than you might think. And the most important thing you need to realize is that a hammer is not simply a hammer. There is a wide range of hammer types to choose from, and many of those are on this list. This list was compiled to give you a wide range of options for a wide range of uses. You may even need multiple hammers from this list to get all your work done efficiently, properly, and of course safely. Just in case you’re not a professional tradesman, and you’re not up to speed on all the categories of hammers out there, the following are a few of the more common types of hammers that come in handy in a variety of situations. There are two types of claw hammers. One is the ripped claw hammer, the other curved claw hammer. Both are very similar and are used for similar purposes. The difference is in their shape, which affects their functionality and also their effectiveness from scenario to scenario. A curve claw is more of a light-duty tool. It’s great for working around the house, for putting up pictures, repairing the kitchen sink, or prying nails off of visible surfaces. This last is actually what the claw is for. The fact that the claw is curved is an added benefit, simply because it gives you leverage as you pry, thus reducing the chance that you damage both the claw itself or the surface from which you’re prying the nail. The ripped claw, however, has a straight construction; it is not curved. You can use it to pull out nails, but not as efficiently as with a curved claw. Instead, the ripped claw is an excellent tool with which to tear outboards or other such tasks that require less precision. The ripped claw too is a light-duty, lightweight tool, perfect for around the house use. A “milled face” refers to the pattern on the face of the hammer. While lots of hammers are designed to strike the heads of nails effectively, the checkered or pyramidal pattern that is characteristic of a milled face hammer is supposed to offer more grip–or an increased ability to actually catch and hit nails with precision and power. The pattern itself varies from product to product, but the idea is always the same. If you’re a carpenter, and you have trouble hitting the nail with precision, you may want to check into one of these. The one downside here, though, is that whatever pattern in on the face of a milled face hammer, may end up imprinted on the surface you’re striking at–so maybe the best remedy would be to improve your precision! The soft-faced hammer does what it sounds like it was made to do. They aren’t tough enough to drive nails or to demolish masonry–so you might be wondering why they call them hammers at all! But remember, a hammer isn’t simply a hammer. And a soft faced hammer comes in handy when you want to finish up a polished piece, perhaps by tapping it gently into proper place and position, without causing damage to the surface. That happens sometimes, especially if you’re human and can’t always guarantee precision. One of the items on this list features a soft faced hammer, coupled with a hard-faced one as well. Remember, you need to know what you need and why you need it to make the best decision for you. Lastly, you need to know what features you want in a hammer. The features you want will determine the construction specifics that you choose. Many of the hammers on this are constructed with fiberglass shafts. That means that they’re naturally shock resistant and ultimately durable. Some of these fiberglass shafts are reinforced with a company’s own patented technologies to assist in shock absorption; some are not. Again, you must pay attention. Then there’s the head themselves. Do you prefer nylon heads? Steel? Titanium, perhaps? Ask yourself what kind of work you hope to get accomplished and how often you’re going to be doing that work. If you need something ultra-durable, you’re going to want to look at the one-piece construction items on this list, instead of items that are put together or assembled using different materials. The one-piece construction items last longer. If you’re a professional, and the cost is not your primary concern, the titanium option on the list is worth a look. Whatever it is you want, it’s there on that list–you just have to know what you want and look for it! Q: Are there any hammers made specifically for women? A: In terms of functionality, no. In terms of functionality, hammers are just hammers and not gender specific. But there are several lightweight options out there on this list if that’s your main concern. And there’s even one that features a pink handle–the company’s goal was perhaps to attract women to it. Q: How long does an individual hammer last? A: That really depends on the make and model. Some models come with replaceable faces, so that wear and tear is not an issue. Some feature hafts that are cheaply made and unable to withstand too strong an impact. Others are made for heavy-duty use as well as long-term use. It’s up to you, what you need and what you choose. Q: I don’t care too much about craftsmanship–what kind of hammer is good for simple chores? A: Your best bet would be claw hammers. That’s the standard kind of hammer most laypeople think of when they thing hammer. A claw hammer–ripped or curved, doesn’t matter–features both the claw and a smooth face, thus being useful in a variety of scenarios.